The broad-based dollar sell-off this week has considerably narrowed. The dollar's losses have become move concentrated in the post-FOMC sessions with just the euro sustaining the momentum and extending this week's gains. This still seems like a large position adjustment. Judging from the speculative positioning in the futures market, there had been little adjustment of short euro positions, while there was a notable paring of positions in the other currency futures. At the same time, the short euro position was often tied to a long EMU or German equity and bond position. There has been a dramatic position adjustment in the asset markets too. We are reluctant to take serious explanations offered, like the fact that outright deflation ended in April with the CPI rising to zero, means the early end of ECB's bond buying program. While there has been some active positioning, we recognize that for money management purposes, many were stopped out of existing positions, rather than establish new exposure. Meanwhile, the dollar is knocking on the JPY120 level. In Japan, the CPI actually ticked up, yet the market did not conclude that the BOJ would exit its asset purchases early. Core CPI rose to 2.2% from 2.0%, which when adjusted for last year's sales tax increase translates to a 0.2% rate from flat. Tokyo CPI for April, when the sales tax does drop out of base effects rose to 0.5% from 0.4%. Separately Japan reported that despite the tightness in the labor market, cash earnings remain weak. The unemployment rate slipped to 3.4% from 3.5%. Total cash earnings were up 0.1% year-over-year. The consensus was for a 0.4% increase, and disheartening, the February series was revised from a 0.5% rise to 0.1%. Overall household spending slumped to -10.6% year-over-year from -2.9%, which was slightly better than expected, but obviously skewed by last year's shopping spree ahead of the tax increase. Lastly, we note that Japan's manufacturing PMI slipped below 50 for the first time since last May. The 49.9 reading is the third consecutive monthly decline. China also reported its official manufacturing PMI. It was unchanged at 50.1. The consensus had anticipated a slightly softer number. The services PMI eased to 53.4 from 53.7 in March. The private surveys were weaker. SWIFT reported that the yuan's share of global payments rose to 2.03% from 1.81% in February, lifting back into fifth place from seventh place in February. The slippage in February may have been a consequence of the lunar New Year holidays. The key issue here is whether the yuan meets the IMF requirement of being "freely usable" to be included in the SDR basket. More capital market liberalization is likely to be announced in the coming months before the formal decision is made later this year. 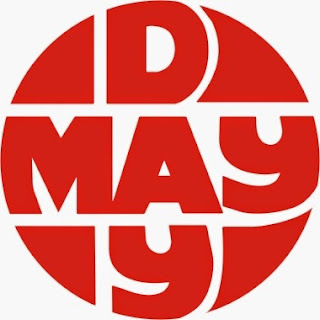 Continental Europe mostly closed for the May Day holiday. The UK will be closed on Monday instead. Today the UK disappointed with an unexpected decline in the manufacturing PMI to 51.9 from 54.4 in March that had been initially reported as 54.6. Exports fell for fifth time in seven month. Industrial output weighed on GDP in Q1 and appears to be off to a weak start in Q2. Meanwhile, next week's election looms large. Prime Minister Cameron appears to have come out ahead in the BBC event yesterday. Miliband seemed to further distance himself from the Scottish Nationalists. We recognize that without a formal deal, the Scottish Nationalists may still support a minority Labour government in votes of confidence, however, the uncertainty around the election is as great as ever. Dealers have warned of lower liquidity throughout this week's large moves, but today is worse with the May Day holiday. There are three US economic reports that will draw attention today: the manufacturing ISM, which is expected to have improved to 52.0 from 51.5 (even though the advance manufacturing PMI softened); auto sales; and the University of Michigan's consumer confidence. The important element to the confidence report is the inflation survey. The preliminary report short a sharp decline (one-year from 3.0% to 2.5% and the 5-10 year to 2.6% from 2.8%). The idea that the weakness in Q1 US was due to transitory factors, like the Federal Reserve acknowledged requires a rebound in Q2 for support. Yesterday's news of new cyclical lows in weekly initial jobless claims and the tick up in the Employment Cost Index are steps in the right direction. The bigger than expected jump in the Chicago PMI, also reported yesterday, is promising. The key is next week's employment report. The asymmetrical response by the market, to sell the dollar on disappointing news, but not buy in on more constructive news is an important reflection of market psychology. However, except against the euro, the dollar is finding support. Thin markets caution against reading too much into the price action now. However, with the euro's move to $1.1285, it met the technical retracement target (~$1.1265). Barring a negative surprise from the US data, this could be it ahead of the weekend.